At PHS we provide talented, well groomed and professional staffing services for events and luxury establishments. Our staff we well trained in handling food and beverage operations. Our team of hospitality professionals handle, full service banquets, corporate events, off premise catering events and other occasions. We offer boutique and elegant selections of uniforms and white glove premier service. We provide, banquet servers, bartenders, utility personals, houseman/setup crew, kitchen help,cooks and event captains. "PHS WHERE SERVICE MEETS PERFECTION"
Hired one waitstaff for a 30th birthday party, and they sent over Owen, who was great, and very professional. Spoke to Maryuri over the phone prior to the event and she answered all questions that I had about last minutes details. Overall experience was wonderful, and good pricing as well! Will definitely be using Professional Hospitality for any future events. We ordered waiters for a small event. Very professional and very friendly. Kenia did a great job. Very professional, courteous and stayed on top of everything. This was the first time I tried this service and things went very well. I will definitely use the service again. Our cater waiters were amazing! We hired 2 for a Halloween themed birthday party - they were so professional, attentive, and pleasant. They went above and beyond to meet my requests, interact with guests & play into our theme. Everyone at the party had such nice things to say about them. We can’t wait to have them back next year! First time having a server help for the party and we had Wilbert and he was unbelievable in every aspect. He literally did everything. He blew up air bubbles for kids to play to making drinks for people to preparing food. His service was over the top and made what was a very rainy party into an enjoyable event. Wilbur was exceptional and highly recommended. Professional, polite and all my guest commented they never had a server like him at their event and he made the party. Was all set. They confirmed servers would be there at 12:30 for a 1:30 party start that wild end by 6:30. I reconfirmed they weee sending two servers so we can enjoy our sons graduation party. This was needed as we had a lot of set up to do and the help was needed. At 1:00 pm no one was there. I texted through the site (they often responded promptly). 1:30 no one. texted again. At 1:45 I called and texted noting I was irked cause no one could at least call to tell me they were running late or had an issue? Just before that last text someone texted vi the sight to say they would be there in 40 minutes. Then I got a call from a woman who said she does the billing and apologized and noted one of the waiters had an emergency medical issue with their daughter & they just became aware of it. Understanding of that, what about the other server? We’re they also unavailable. They noted in their text they would give me a full refund and replacement servers were on the way which they got there around 2:30 ish (2 hours late). These two people were great. They just knew there was an issue and rushed from another job. They stayed until 6:30 ans I tipped them well. The chos is that time from 12:30 to 2:30 was a lot. My caterer set up the food to warm it. My wife & I were setting up the drinks, ice, and other decorations furiously to 1:45 cause we were also dealing with set up stuff the servers would have done. My guests actually went over to open the food & serve themselves. They called me a little more than a week ago and said they were getting out my refund. I’ll hold them to that promise. If it’s not here in a week, I’ll refute the charge with my credit card based on the texts and last call. Maybe this was a fluke and not their norm, based on the reviews I read. But I can’t rate them well on this and won’t use them again. And GigSalad, I hope this isn’t he norm. Very positive experience. Would use this service again. The experience was good, however the server was a little slow moving and needed direction for things to be done. I am sorry to hear that you were not satisfied with our staff's performance. Here at Professional Hospitality Services we take pride in providing 5 star staffing services for your special occasions. Our initial contract was for a 50 people event, with basic service and disposables clean up, for which 1 server would have sufficed. The actual event consisted of 80 guests with buffet setup, food prep, bar prep, food and beverage service, and disposables clean up, and it would have been much more adequate to hire at least 2 servers and 1 bartender to perform the duties you required in a more efficient manner. According to our professional experience, we believe our 1 server provided the most efficient service she was able to, under the circumstances. Thank you again for choosing our services and I profoundly apologize for the misunderstanding. Natalie and Lucy came to our house party and were huge helpers. They did anything we asked of them and were completely professional! It was absolute pleasure working with the waitstaff from Professional Hospitality! Kaiser is great to work with. He is very responsive the moment I book with Professional Hospitality until the day of the event. Aries & Jose are the BEST!!!!! They came on time & took care of our guests. While being attentive to the guests, they cleaned up. Aries even reminded me about the party favors when guests were leaving. They were so personable & amazingly great people. I am a life time client now! Jose was a pleasure to have helping around while the party was going. The goal was to make sure Mom had more time to spend with the family and she did. The kitchen was clean when he was ready to go even after staying a bit late to finish the job. I've been running restaurant, bars and clubs for over 25 years, and Professional Hospitality is one of the best staffing agencies I've worked with. Khizer is a pro...a tireless worker who does whatever needed to get the job done. All of his staff, from captains, servers, bartenders, houseman and security are spot on. Show up on time, work hard, clean up...they treat my place like there own. Hard to find theses days. I highly recommend them. Whether it' a wedding or a small party. Khizer gets the job done. They are the exclusive staffing agency for my Country Club. Planning for a wedding is not easy; the stress of picking a dress for not only myself but my bridesmaids, choosing a color scheme, a location, invitations, and so forth can take a toll. However, with the guidance and support of the event management team at Professional Hospitality my worries and stress eased as they made my special day truly magical and my what I had envisioned for my wedding come to life. They helped coordinate seating positions and arrangements, mapped out the timing from the moment I stepped into the venue, from the ceremony, to the moment the reception was finished. The timeline coordination was perfect, I did not have to worry about the individual events running late or to early as there was an excellent team manager at my wedding directing the staffing (which was provided by Professional Hospitality) on were to go, when, and how. Not once did I have to worry about how smoothly everything was going because the team management was always there to make sure my guest and I were having a good time. Furthermore, as I was preparing for my big day, communication between me and Professional Hospitality was extremely timely. If I had a question, suggestion, or needed some ideas they would contact me almost immediately. They kept me updated on the progression and staffing. The waitstaff and bartenders provided by this company were more than satisfactory. They were very polite to the guest and helped many of my guest throughout the night, also they gave great table side manner and wine service. I was very happy about the look of the staff uniform as it was very clean and formal. In addition, the bartenders were great! They made drinks in a timely fashion, were very lively and personable, and made the guest happy and enjoy their time even more. There is so much to say about this company and its outstanding service and dedication to making my wedding something wonderful. I would recommend this company to anyone who is planning a wedding or any type of an event. They made my day one to remember. My family and friends felt the waiters were very friendly and always there to attend us when needed. Natalie was super nice asking me with what else I needed particularly. They were all clean, neat and well planned in their services. Aries made me a classic Mojito and Jose a fresh Caipirinha. My birthday was filled with enthusiasm and good energy thanks to the food and their service! I absolutely recommend PHStaff and will use them again. Excellent Service, Professional Staff, Problem-Solving Team! Kean University Student Organization allows its students to intake in even planning and execution. A particular event a committee chose to showcase was Asian New Year “ Luna’s New Year” with the infusion of amazing food, performances and give aways. The only problem our students face was putting these items together with a set budget and limited time. 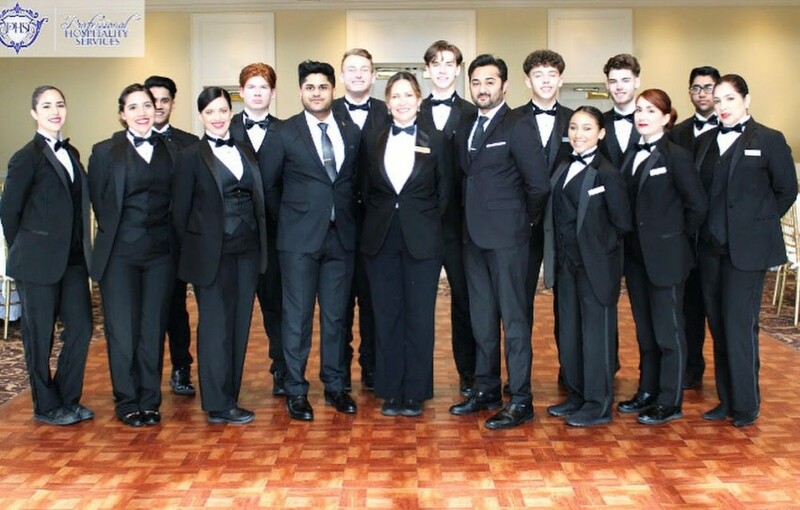 Professional Hospitality Services cater to the vision students had in mind and guided them along the way. Khizer Syed, Business Owner, took time of his busy schedule to meet with various caters and plan out the different things his company could do to make Chinese New Year an unforgettable event. Mr. Syed found every little detail to trace back the roots of the Chinese culture and worked with Kean University Student Org and Calcutta Wok to see that food presentation, wait staff service, and the environment flowed without any issues. Although there bumps on the way, Khizer used his past experiences to see that the problems were quickly resolved. As a result, our students were able to served more than 1,000 students. If you are in need for a custom event Professional Hospitality Services is the place to go!!! Thank you for your great feedback, it was amazing working with student org and kean university events team to make this event successful. Thank you for trusting us with your event and giving us opportunity. I’m going to start off by praising the company first for its excellent 5 star services that they provided to make my event a lot more vibrant than it already was. This company was extremely professional in all it’s aspects of services. I highly recommend the company for everything that they provide. Their customer service was top notch and that is why I’m putting so much effort in writing this review. I would also like to highlight the facts that their staff was highly trained and seemed very comfortable handling events. They had a proper hierarchy and I would only provide details to their manager and everything would be orchestrated exactly the way I wanted it. Regardless to say, detail orientation was widely visible. Lastly I would like to thank the excellent staff themselves, each one of them did an amazing job and left a happy customer who will always recommend them wherever possible and hire them if needed be. Thank you PHS, and I hope you keep providing excellent services to everyone!!! The event went perfectly! It was everything I had imagined it to be. Khizer was extremely helpful and knowledgeable, he helped me plan my entire event which couldn’t have gone better. The servers were amazing; no doubt about that. George and Keyla especially were very kind. The staff arrived on exact time and didn’t leave any room for complaints from me or my guests. Definitely recommend this staffing company, it’s undoutably the best I’ve worked with!!!! 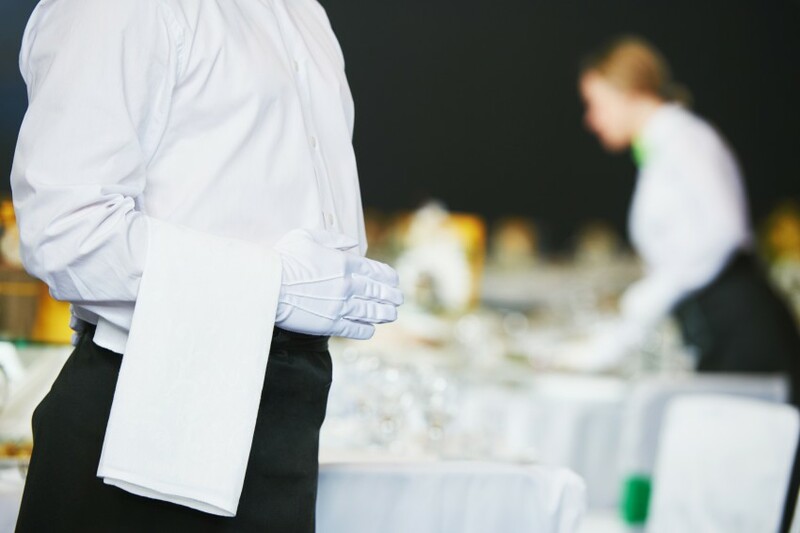 Professional Hospitality Services, LLC supports banquets of all sizes improve the efficiency, productivity and outcome of your events with easy access to skilled and motivated staff. 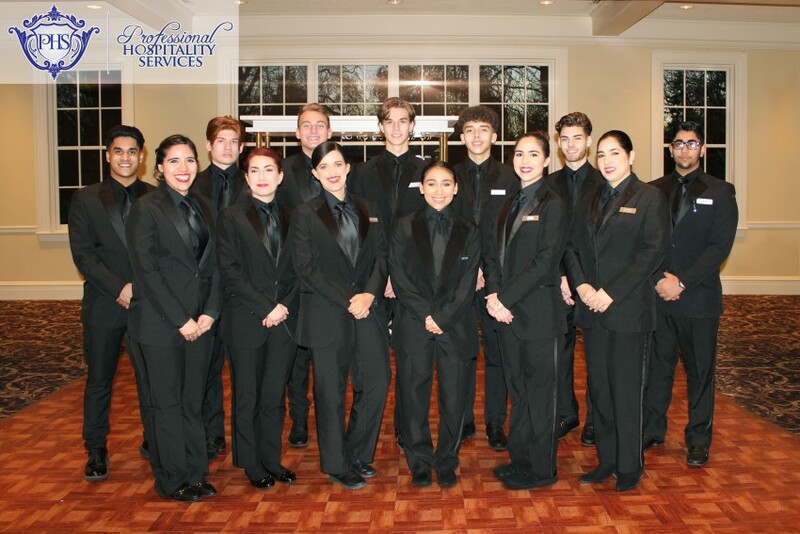 PHS focuses on placing the appropriate employees to meet the needs of banquets, restaurants, and private events. Our clients trust on PHS to provide expert operating staff for their banquets, off premise events, and corporate events. With more than 10 years experience in Food and Beverage Handling, Events Consulting, and Event Management you can count with our employees to get the job done. Each of our staff members has the qualities that you are looking for your next event. 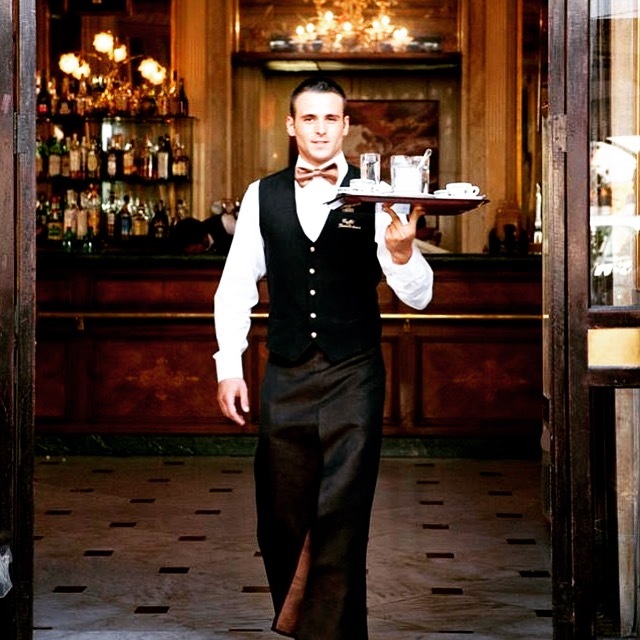 PHS provides Expert, well trained Highly Qualified waitstaff and Bartenders for luxury establishments and venues. 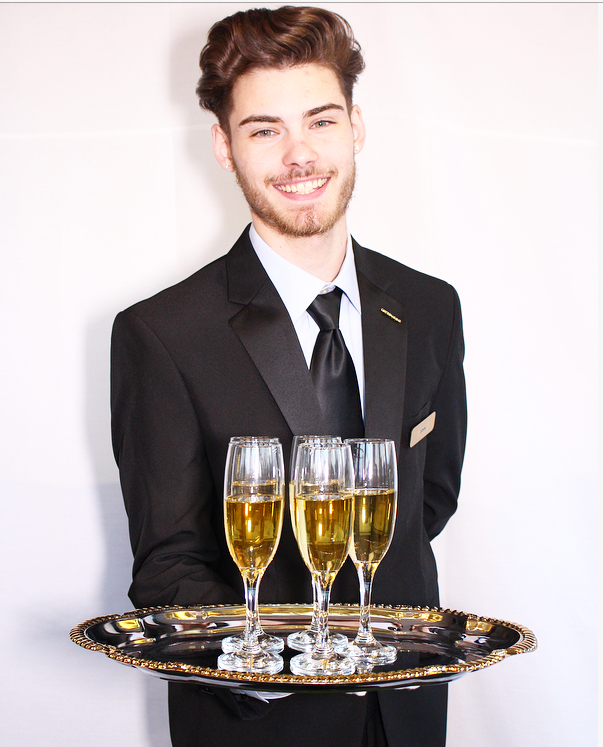 With perfect uniform and great smile; our staff will impress each guest at your event.